Headquarters of the Choctaw Club, home of the city's Old Regular political organization for many years. Located at 518 St. Charles Avenue, at the corner of Poydras, the building's proximity to City Hall (now Gallier Hall) underscored the power of the Democratic machine over the municipal government. Choctaw control was finally broken with the election of Mayor Chep Morrison in 1946 and the rise of his Crescent City Democratic Association. 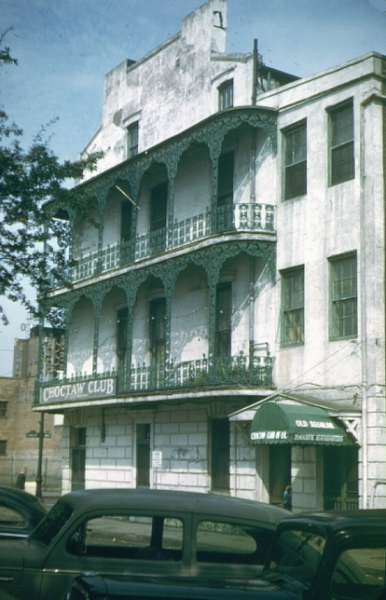 The Choctaw Club building was demolished during the 1970s; the site is now occupied by the Best Western Parc St. Charles Hotel.